Here we are again, another Friday, I honestly think it feels like someone has pressed fast-forward on the clock since Christmas, so much has been going on lately! Great news though and lots of exciting events and Jane Planners doing brilliantly well on their Plans – it’s given me a real boost this week! Cutting out refined sugar didn’t go so well for me I have to say and I found that even though I was avoiding the biccies, I was turning to toast and Marmite to get a tasty fix in the evenings. So all I was doing was swapping sweet for savoury and self-sabotaging! Hmm not quite the outcome that I was hoping for so that’s why I told you last week that I’m back on my Plan! I’m still sugar free of course, well until Easter and in addition I’ve been following my 1,200 calories a day and I have to say that I’m feeling the better for it! I focused on making really tasty sides to go with my main Jane Plan dishes and my favourite so far was dry fried, mushrooms, spinach and garlic with a squeeze of lemon! I had a lovely dinner out with friends during the week which tested my diet resolve even further but I stayed strong and opted for assorted sashimi! It’s a bit like sushi without the rice. Try it next time you’re out for dinner and let me know what you think! I’ve also been upping my exercise these last few weeks in an effort to get body confident for summer, as believe it or not – warmer weather is just around the corner!! I’ve also decided to take action and cycle to work next week. I’m so happy that the clock is going forward this Sunday – hello sunshine and longer stretches in the evenings – bliss! So what are my challenges for the week ahead? Well first off, coping with all of the extra yummy food that will be in my house with my children on school holidays! The fridge will definitely be fuller and lots of tasty things in there like pizza and my absolute weakness…hot cross buns! They will be on the the breakfast table but I’ll be tucking into my Jane Plan muesli! I have to say that Rachel Allen’s range of organic fat free yoghurt is absolutely delicious and it has really been kick-starting my mornings! It comes in lots of delicious flavours and my favourites are strawberry and rhubarb and blackcurrant. As it’s meat free week, I’m going to leave you with a tasty recipe for tofu and vegetable stir fry. It makes a nice change from a chicken or beef stir-fry so hope you enjoy! Add all the vegetables and stir fry for 3-4 minutes. Add the tofu and cook for a further 2 minutes. Mix the water and lemon juice, pour over the vegetables and cook for another minute. Stir in the sesame oil and seeds and serve immediately. This is delicious served on a bed of rice or rice noodles, but if you are counting the calories, it’s also perfect on its own. For a real kick, drizzle with soy sauce. This is almost delicious with cooked chicken of prawns instead of tofu. Can you believe that it’s another week over again?! It’s been a real whirlwind here but I’m really excited by some of the Jane Plan events that we’ve been planning – photoshoots, tasting sessions, new marketing materials and speaking slots at exhibitions – it’s really been all go! I love being busy and the chance to meet Jane Planners and engage at events is fab. I think some of this whirlwind of activity has also lead to a 3lbs weight loss when I stepped on the scales today. BUT……and it’s a big wobbly ‘but’…my tummy is still bulging over the top of my jeans. Is it my age I wonder? The bottom line is that going sugar free hasn’t helped! So, while staying sugar free I am also going to do my own plan – yes, I’m now on Jane Plan. I think I need some help in the next few weeks with calories and portion control so I’m taking some of my own medicine as they say! One of my chief motivations is the fact that I have some fabulous events and parties coming up this summer and they are giving me lots to focus on for motivating myself to follow my Plan. One event in particular is a university reunion where I haven’t seen some classmates in over 20 years – wow! So, in an attempt to look and feel my best at that event in June I’m going to stay strong and hopefully next week, I’ll be reporting more good news! Let me know how you’re getting on with your own Plans – highs, lows – I want to hear it all! Oh wow has this week been a whirlwind or what?! I had my son’s birthday and had a brilliant family get together which involved organising a birthday lunch for ten! Busy didn’t quite cover it. Hmm it’s what followed lunch that had me in a bit of a pickle when it came to my no sugar ban. 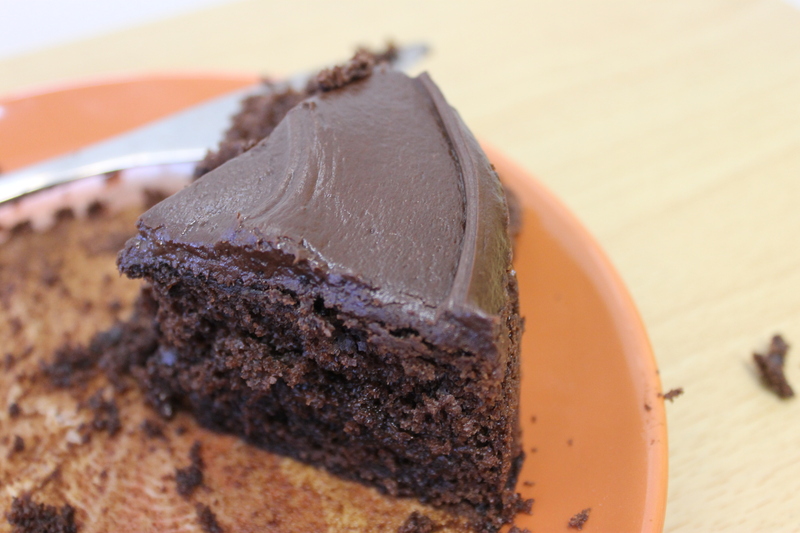 I bet you’ve guessed it already…BIRTHDAY CAKE!!! So many of my clients ask me about how to cope with bumps in routine and social situations where gorgeous and usually calorific food is within reach? Well I’m always honest and tell people not to underestimate how hard these situations are when it comes to watching your weight or calorie counting! In my case, and I admit that on this occasion, social pressure got the better of me! I had a slice…and it tasted as good as it looked!!! What I will say is that I didn’t cave a second time and after temptation testing me to the absolute max, I got rid of the remainder of the cake from the house. You are making life so much harder for yourself if you have treats and sweet things in the kitchen so make every effort to help yourself! What has this week taught me? I’ve learned that life isn’t rigid and it’s not always possible to be super, super strict with yourself. Sometimes a little treat in moderation is a more realistic approach than a complete ban. It’s one of the reasons that we have skinny snacks in our Jane Plan meal plans to encourage a healthy long term sustained weight loss. To make up for my slip, I did an extra hard work-out this morning to get a bit of balance back into my lifestyle plan this week. Let me know what your highs and lows were with your diet this week? Ps. 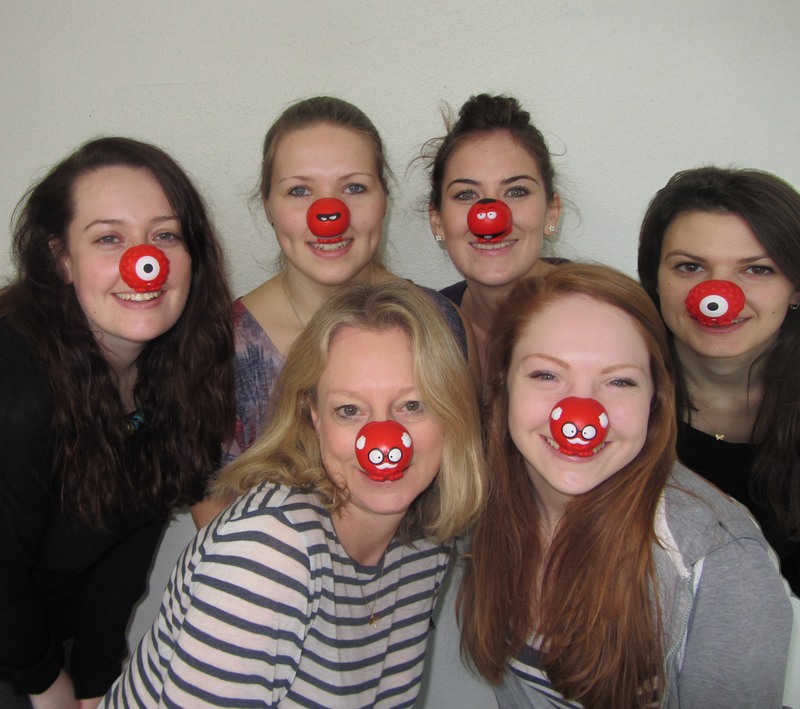 another challenge was trying to avoid all of the amazing browines, chocolates and cakes that the girls had in the office for Red Nose Day today! It was hard but we had loads of fun, hopefully you were fundraising for this fab charity drive too. Hi everyone and a very happy Friday to you all! So here’s my Friday update on how I’ve found seven days without refined sugar. Honestly? I’ve found it really hard!! It takes a lot of willpower not to dip and I’ve had a really hard time saying no to gorgeous looking Oreo cheesecake and chocolate gateau as some of the girls have celebrated birthdays in the office. I’m giving myself a pat on the back for looking the other way! I’ve lost 2lbs so far but I don’t feel any different and my tummy is still just as flabby! I’m going to assess the results next week and if my waistline hasn’t shrunk I’m going to give up alcohol as well as refined sugar. (I probably should have given up alcohol given that it’s high in sugar anyway). I’m guessing that I’ll find giving up alcohol a lot harder than giving up sugar. For me a glass of wine marks the end of the day. I find it deeply relaxing. And this is what I didn’t have…. You can see my temptation right? !